When it comes to good food, Japan has plenty, possibly due to the attention to detail and care the locals put into the preparation. But more often than not, good award-winning food is often associated with expensive. Not at Nakajima. Located in an obscure road/alley in Shinjuku, this unsuspecting basement restaurant is the winner of one Michelin star for one simple ingredient. Sardines. Yup, just swing by during lunch to enjoy a delicious, award winning sardine set meal starting at 800 yen. They have four different styles of sardines: sashimi, deep fried, shimmered in dashi and soy sauce and finally piping hot in the folds of a silky egg (for an extra 100 yen). Each set comes with rice, miso soup and pickles. The second bowl of rice is free of charge and a third bowl is an extra 100 yen. The restaurant was fairly small and you're expected to share tables if it's too crowded. Many sites have recommended arriving before lunch time at 1130am. As I had just got in from Kamakura that day, I got there slightly after 1pm and had to queue for a while. We were given the English menus and by the time we were seated 15 minutes later, knew what we wanted to ordered. Service was prompt and they were attentive to your needs. The food took a while to arrive account of that it was made upon ordering. 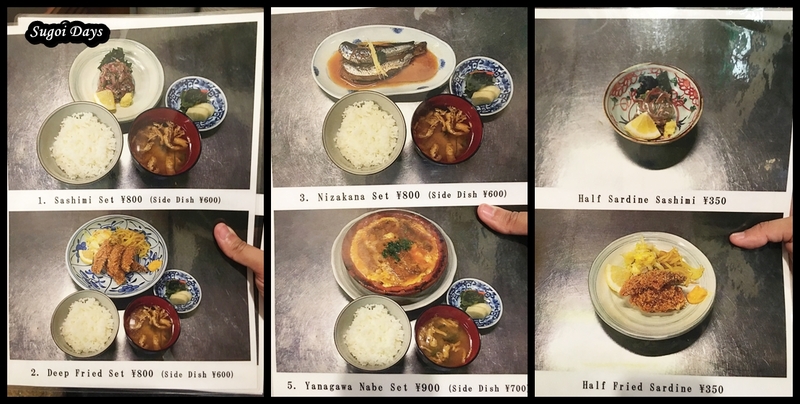 Out of the four, I highly recommend the Yanagawa Nabe as the egg and onions complement the sardine just wonderfully. The fried sardines came in a close second place with a light crunchy coating that kept the fish moisture locked in. Green tea and towels were served complementary. By day, Nakajima offers affordable lunch and transforms into a luxurious kaiseki dining experience by night with a price tag to go with it. So if you're looking for a cheap Michelin experience, then consider Nakajima.